Spoiler alert! This post reveals details about the new Robocop film. As a kid, I loved the 1987 Robocop (even though I can’t recall how my parents allowed me to see it given its R rating and violent scenes). Having grown up in the Detroit area and as a PhD candidate with research interests that all hinge on social inequality, it isn’t hard for me to understand now what I found so fascinating as a child about a film featuring a dystopian capitalist future. When I learned about the 2014 Robocop, admittedly I was excited to see it and interested in discovering whether the new film retained some of its social commentary roots. I was surprised to notice that the new film, more than the original, cut to the core of my current research interests around policing and health. The overlap with my scholarly interests led me to consider how I and other anthropologists might use popular media as a way to discuss anthropology with non-academic audiences. The film opens with Samuel L. Jackson playing the role of what can easily be identified as a cable television network political pundit. Jackson’s fictional television show, like some existing cable news shows, is preoccupied with personal safety and security. The show leads into a scene in Tehran, where soldiers and military-owned robots tromp local streets while residents file out of their homes and submit to security scans. Jackson reminds his television audience that the robot-conducted security scans are to promote safety and freedom, evoking Foucauldian notions of surveillance, harkening images of post-September 11th, 2001 color-coded terror alerts, and recalling the George W. Bush-era perpetual discourse-turned-trope of “freedom” that justified increasingly stringent security measures. This segment of the film progresses to pose a question about the benefit of security robots domestically, used to “promote freedom” in urban streets and ensure urban safety. The underlying message is that existing models of policing, control, and surveillance have failed; newer, stronger, and more technologically sophisticated methods are needed. The opening scenes of Robocop raise questions regarding routine policing, military action, and a neocolonial presence of the United States in the Middle East—a rather impressive feat for a film that has received less than stellar reviews. Although a film like Robocop is expected to entertain rather than raise thought-provoking questions, it occurred to me in the theatre (surrounded by moviegoers whose mean age suggested they had never seen the 1987 original) that anthropologists and our discipline could say a lot about films meant to entertain. In a time when anthropologists are searching for the public relevance of the discipline and when the American Anthropological Association asks “What audiences should we seek?” as part of this year’s annual meeting theme, “Producing Anthropology,” I ask fellow anthropologists why we shouldn’t seek everyday audiences, even Robocop moviegoers, to share our disciplinary analysis and provoke relevant discussions. Robocop itself is ripe for anthropological analysis, particularly since it focuses on security and policing. The robotic policing endeavors in the film point to contemporary concerns about hypersurveillance done through new technologies. In this respect, Robocop helps focus on anxieties related to the PRISM data mining program, military drones, and governmental phone tapping that form a constellation of silent and hidden policing, veiled through common and accepted technologies. The idea of an actual Robocop may not even be too far from the future, and anthropologists are positioned to point out the potential concerns with new technologies and their uses. One concern in particular relates not to use, but rather how and where technology is used, and as the 2014 Robocop shows, the body itself becomes a site of security assessment made possible through retina and heat scans. Types of embodied security are currently accessible in seemingly innocuous technologies, such as cellphones, as seen with fingerprint sensor in the iPhone 5s. Beyond the corporeal sense of what it means to be human, however, Robocop further speaks to notions of seemingly limitless life-extending technological advances. 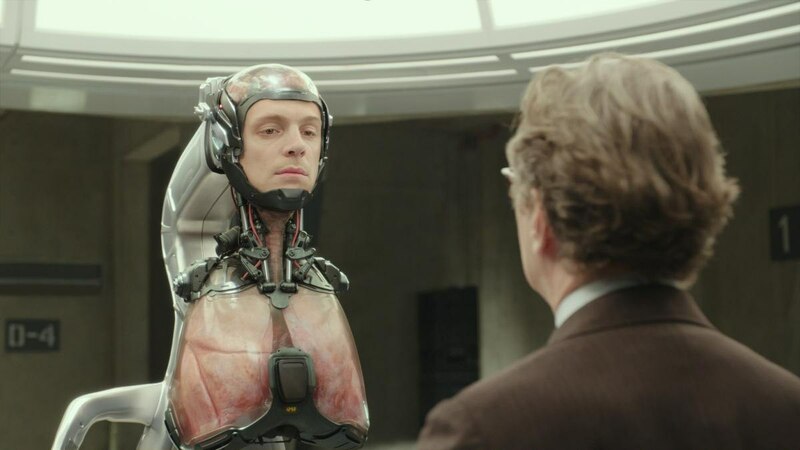 As Murphy stands exposed with his organs on display, he reacts in horror, wanting to end his life; the surgeon/researcher, played by Gary Oldman, explains to him that he has been given a second life. The notion of extending life to almost limitless possibilities is yet another area ripe for anthropological analysis, and speaks to the ideals of the medical imaginary, specifically the way in which specific technologies promise hopes of continuous life regardless of the severity of an ailment or injury. Undoubtedly, the new Robocop is full of themes that could excite several cultural and medical anthropologists, and I write this post not to provide an exhaustive account of themes anthropologists can find in Robocop, nor to praise yet another Hollywood remake. Instead, I aim to demonstrate how anthropology is relevant in popular media and consider additional ways of bringing anthropological insights to non-academic audiences, as many anthropologists currently do through blogs. Popular movies and their promotional schemes– like Joel Kinnaman’s interview with Jon Stewart, which deserves conversation about comparative masculinities and notions of militarized machoness–may be appropriate avenues for anthropologists to reach new audiences. In finding new audiences through popular media, anthropologists can potentially assert their discipline’s relevance, especially at a time when politicians occasionally question the importance of anthropology and other liberal arts disciplines. Anthropologists understand the value of our discipline in shedding light on social phenomena, and we may find additional ways to share that value with others through commenting on popular media. Nolan Kline (@nolan_kline) is a PhD candidate in the Department of Anthropology at the University of South Florida. His dissertation research explores immigrant policing in Atlanta, Georgia, focusing on how state and federal immigration policies combine with local police practices to impact undocumented Latino Immigrants’ health. ← What’s going on in Ukraine?